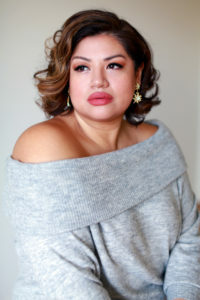 Mexican mezzo-soprano Claudia Chapa has recently been seen in such theatrically dynamic roles as Azucena IL TROVATORE with Winter Opera St. Louis and Opera in Williamsburg and Madame Flora THE MEDIUM and the Witch HÄNSEL UND GRETEL with Opera in the Heights. Recent and upcoming engagements include Azucena IL TROVATORE with the St. Petersburg Opera Company, Mary THE FLYING DUTCHMAN with Austin Opera, ConciertOH! de Invierno with Opera in the Heights, Verdi’s Requiem with the Alabama Symphony, Bruckner’s Te Deum with the Austin Symphony, Hedwige WILLIAM TELL with Opera Southwest, Zita Gianni Schicchi with Salt Marsh Opera and Dryade ARIADNE AUF NAXOS with Austin Opera. Other recent roles include Zita GIANNI SCHICCHI, Berta THE BARBER OF SEVILLE and Bloody Mary SOUTH PACIFIC. Other engagements include Dame Quickly FALSTAFF with Winter Opera St. Louis and Opera in the Heights, Marthe FAUST with Indianopolis Opera, the Third Lady DIE ZAUBERFLÖTE with the Glimmerglass Festival in 2015, Portland Opera To Go, and Ms. Chapa’s professional operatic debut in 2011 with Austin Lyric Opera, and covering the Old Lady CANDIDE with Glimmerglass Festival 2015. On the concert platform, Ms. Chapa has been heard in the Verdi Requiem, Mahler’s Symphony No. 2, Bruckner’s Te Deum, Manuel de Falla’s El Amor Brujo, and Handel’s Messiah including performances at Carnegie Hall with the Distinguished Concerts International New York series.